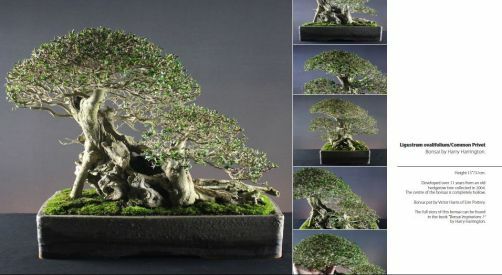 Every Spring and Fall people will purchase bare root trees to plant and use either in their gardens or as bonsai. Bare root trees are cheaper to purchase usually because the shipping costs are cheaper since no soil is shipped with them. 1) Order from a reputable dealer. Reputable dealers will ship their trees not long after bare rooting them, and will take the extra precautions to make sure your trees are disease and pest free before they are shipped. They will also package the trees in such a way that the roots stay damp and don't dry out. Avoid buying bare root trees off places like Ebay, you don't know how long those trees have been laying around. Avoid buying from companies that do not list the approximate size of the trees they are shipping. A company that I use lists not only the approximate size range but also the approximate age of the saplings they are shipping you. This way you have an idea of what you are getting. I get catalogs regularly in the mail for trees and some don't list the size, much less the age of the saplings they are sending you. It's nice to know if you are getting a three year old sapling versus a one year seedling, or a three foot tall tree versus a six inch tall sprout. 3) Be sure to have all your various soil components, pots, and other needed items already purchased and ready to go so when the trees arrive you can begin your planting adventure and your trees won't be without soil for an even longer period of time. It's best to plant your trees the same day they arrive.Alright so you have those trees in hand, they look healthy, and you're ready to plant. 1) Carefully remove the trees from the package. Inspect the roots. Gently prune away any damaged or diseased roots. Leave everything else intact. Yes, this means leave the tap root intact too. Why? In my experience with bare root trees, doing any extensive root pruning either slowed the growth immensely or the tree just did not thrive and eventually died, or never grew at all. Leave the root pruning for after the tree has had a year or two to recuperate. A tip here to keep in mind is that bare root trees tend to do better if purchased and planted in the Spring. In the Spring, trees are gearing up for growth, and can therefore recover better from the stress of being bare rooted and shipped. While I have certainly planted bare root trees in the Fall, I have found a greater success rate with those planted in the Spring.